ORLANDO, FLORIDA,– Absen Inc., a global leader in LED display solutions, and visual experience integrator, Revel Media Group, announced today that its Hale Centre Theatre project won Gold in the Venues category as well as the highly coveted ‘Installation of the Year’ Award. This year marks the 15th Annual APEX Awards Ceremony which takes place during Digital Signage Expo (DSE), in Las Vegas, NV. 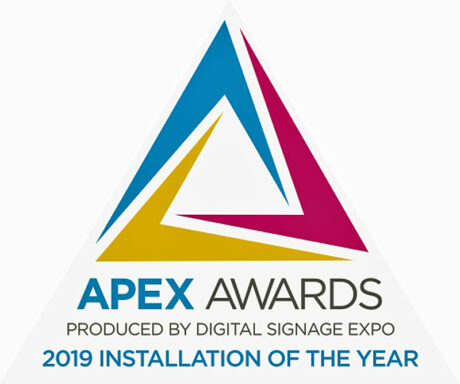 Presented by the Digital Signage Federation, the APEX awards are designed to recognize and honor companies for their innovation, achievements in the installation of digital displays, interactive technology and creation of compelling viewer content. The Hale Centre Theatre, which has been in the Salt Lake City area for close to 33 years, is one of the largest and most respected community theatres in the country. During the design phase of the $75 million-dollar complex, the Revel team worked side-by-side with the theatre’s own internal design team to help create unique spaces inside and out of the complex that pushes the creative envelop such as trapezoidal and circular-shaped LED screens, moving stages and the latest and greatest in lighting and sound technology. 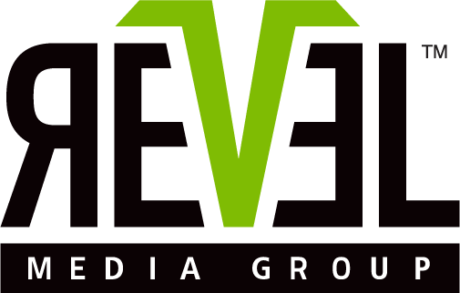 In order to best advertise upcoming productions to the passing traffic, Revel Media Group and Absen designed six large digital signs using the XD6 Series LED solution, which are strategically aligned beside each other to create a captivating show of moving content on each upcoming production. Based on the success of the LED walls within the main theatre, the Hale and Revel team recently expanded its LED usage by installing another large Acclaim 3.8mm LED wall in the complex’s Jewel Box stage. This will significantly ease the often-cumbersome multi-scene changes that happen during various productions in the smaller sized theatre. By utilizing LED technology, the theatre’s design team can create the scenes digital, freeing up the already limited space backstage.